If you’ve fallen behind on your resolution to get in shape in 2019, these products will help you get back on track. Check out all the NEW slo-pitch bats for 2019 from Miken, Worth, Mizuno and more! CCM's JetSpeed FT2 hockey skates will be available at your local Source For Sports in-store and online April 26, 2019. Here are some Source For Sports tips for sizing ski and snowboard helmets and goggles. Don't forget anything for your day on the slopes! Here's a quick checklist for you to keep track. Here are a few things to keep in mind on the slopes to ensure an easy ride beside other skiers. Before you attack the hills, get your gear checked, tuned, and waxed before you forget. No matter what type of skier you are and what type of skiing you enjoy, there's an ideal ski pole for you. In hockey, skating is everything and our skate experts will fit you right the first time. Having cold feet is the worst, and playing hockey with cold feet can be detrimental to your play. The best way to watch your child play hockey is with the knowledge that they're protected. If your kids play hockey, eating nutritious meals is critical to fuelling their bodies on the ice. So you've purchased all your kid's hockey equipment. We'll explain how to stuff it all in their bag. Here are a few tips to help you dress your child in their hockey gear if you are both new to the game. Raven Hockey designs hockey sticks specifically for kids to help them stick handle better and raise the puck. Tryouts can be a very nerve-wracking time for both minor hockey players and their parents. 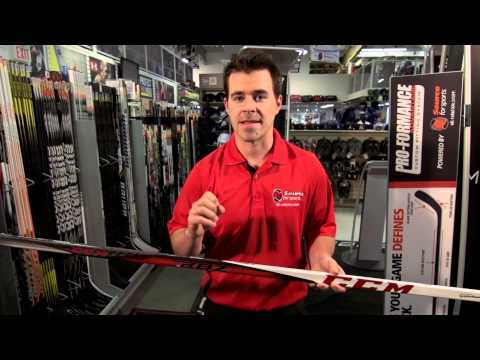 Learn how we can help you find the right hockey stick length, flex, curve, and lie for your game. Here are some tips and advice from your hockey experts at Source For Sports ensuring a proper fitting hockey helmet. If you are a new hockey parent, you may find the idea of tying your child’s hockey skate laces a bit daunting. The Super Sport Hockey Program has awarded more than 250,000 awards to young hockey players across Canada. Layering your clothing for cross country skiing will make your day more enjoyable, comfortable, and predictable on the trails. We sat down with Connor Brown of the Toronto Maple Leafs to learn about his journey from beginner to pro. To protect your eyes and improve your vision, having the correct goggle lens can make or break your day on the slopes. Top 10 Questions Parents Ask About Ski Equipment for Kids. Here's some tips for making your next skiing trip with the family fun and enjoyable. Getting chilled out on the hill can cut your runs short. Here is what you need to keep you out on the slopes all day. EC3D, a Canadian manufacturing company based in Montréal, Québec, creates medical grade compression garments for athletes of every level. Learn about the Anatomy of a Hockey Skate and why each item plays an integral role in your stride on the ice. Superfeet insoles and footbeds help adapt the flat 2-dimensional midsoles of your shoes to stabilize your 3-dimensional foot. These top 3 skate sharpening tips for hockey skates will dramatically help your game on the ice. When your son or daughter plays goal, it can lead to different stressors as a parent. Superfeet Yellow Premium Insoles offer heel and foot support for all players in hockey skates offering increased comfort, fit, and performance on the ice. 3-time Olympic Hockey Gold Medalist, Becky Kellar-Duke, talks about creating the right environment for our children to excel in sport. The fit of your ski boots is critical and the right boot for you will deliver maximum comfort and performance. The Strictly Girls Hockey School and Source For Sports have been partners for many years to support and encourage young female athletes to participate in hockey. Dryland training for young hockey players is great for developing skills such as flexibility, stability, strength, power, speed, and conditioning. To play hockey at any level, you need protection. Learn about the best ways to fit your protective equipment for you and your kid at Source For Sports. 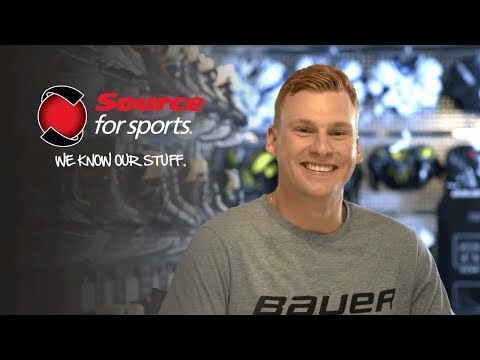 Source For Sports is your hockey experts allowing you and your kid to play with confidence with properly fitted hockey gear that keeps you safe on the ice. Deciding whether to buy or rent skis this season? Review our helpful tips to make the right decision for the whole family. 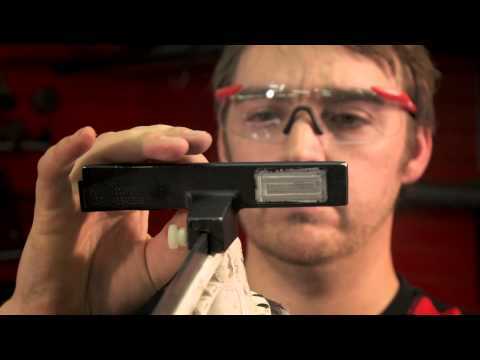 Play with an Edge is the motto of the Bauer Lightspeed Edge holder technology that is featured on every Bauer hockey skate and Source Exclusive Bauer hockey skates over $200.